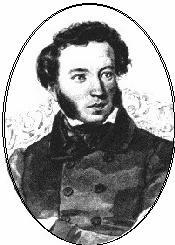 ﻿ Poetry Lovers' Page - Aleksandr Pushkin: "It's Time, My Friend..."
You are here: Home » Russian Poets » Aleksandr Pushkin » "It's Time, My Friend..."
Plan a long life, but could abruptly die. The world hasn't happiness, but there is freedom, peace. To the removed abode of labor and delight.